The yellow pages industry has been rocked in 2009 by economic woes resulting in two major publishers—Idearc Media and R.H. Donnelley—filing for bankruptcy protection and one international yellow pages publisher—Yell Group (London), the publisher of Yellowbook in the U.S.—announcing that it had begun a process to refinance its debt in the hope it could extend the maturity dates and change terms. While many view the bankruptcies as a sign of a collapsing yellow pages print industry brought on by the Internet, others share the view that the economic woes resulted from decisions at Idearc and Donnelley that caused them to grow too much, too fast and too soon, expanding beyond the abilities to meet financial obligations as easy credit became hard credit. On July 28, 2009, Simba yellow pages senior analyst David Goddard presented findings from Simba's just released business brief, The RBOC Bankruptcies 2009. David was joined by directory publishing executives Frank Jules (president & CEO, AT&T Advertising Solutions) and Scott Pomeroy (president & CEO, Local Insight Media), who addressed the state of the yellow pages industry as they see it from their roles at the head of two of the top five U.S. directory publishers. The RBOC Bankruptcies 2009 report takes an in-depth look at the actions behind the scenes that led to bankruptcy court and projects where Idearc Media and R.H. Donnelley and the entire industry—both independent and incumbent—are likely to find themselves in the future. 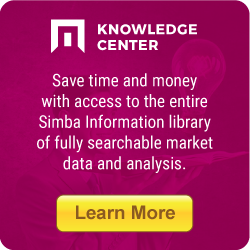 In case you missed out, now you can order Simba's RBOC Bankruptcies 2009 webinar recording. Just select the Online Download purchasing option above. Frank Jules is president and CEO of AT&T Advertising Solutions. He is responsible for all functions of the $5 billion business. The company provides a complete suite of print and online advertising search solutions that help small and medium businesses succeed. AT&T publishes more than 1,250 directory titles in 22 states with a distribution of about 173 million copies. Frank received a Bachelor of Liberal Arts degree from Iona College in 1978. He serves on the board of the Yellow Pages Association and the Association of Directory Marketing. Scott A. Pomeroy is president and CEO of Local Insight Media, with overall responsibility for the company’s strategy, growth and value creation. Now the fifth largest directory publisher in the U.S., Local Insight Media provides print and online directories in 42 states, Puerto Rico and the Dominican Republic; serves approximately 340,000 small business advertisers; and has approximately $700 million in pro forma revenue. Prior to joining Local Insight Media, Scott was executive vice president and CFO for Dex Media, where he served in other key leadership positions, including senior vice president of finance and vice president/treasurer. Over the course of his 23-year career, Scott has held leadership positions in diverse industries, including chief financial officer for Eotec Capital and president and chief operating officer of Lewis Food Groups. Scott began his career with KPMG Peat Marwick. He holds a B.B.A. in Accounting from the University of New Mexico and earned Certification in Public Accountancy. A member of the Yellow Pages Association, Pomeroy is a frequent speaker and contributor at industry and financial conferences. David Goddard is senior analyst/editor of the Yellow Pages Group of Simba Information, where he oversees content gathering and presentation of Simba’s Yellow Pages & Directory Report and numerous related research reports. Prior to joining Simba, David worked at Eagle Publishing, a chain of daily and weekly newspapers and printing houses throughout the Northeast. At Eagle, he served as business editor and managing editor of several newspapers, and from 1988 to 1996 he was editor and publisher of the Vermont and then Connecticut operations.